Most Mac users looking for a nice, budget monitor will ignore Apple's Cinema Displays for monitors by Dell or other major manufacturers. But these third party monitors don't feature mini DisplayPorts. The CinemaView is the first (third party) monitor to support Apple's mini DisplayPort standard, which means that unibody MacBook users won't need to mess with adapters to plug in. Plus, they look super Appley. 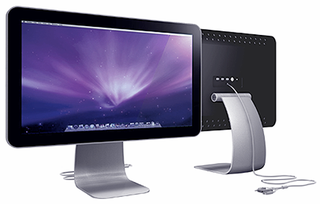 Coming in sizes up to 24-inches and resolutions up to 1920 x 1080 (slightly lower than Apple's 1920 x 1200), these aluminum and glass displays each feature 1000:1 contrast, 350 cd/m2 brightness, 5ms response and a 3-port USB hub.